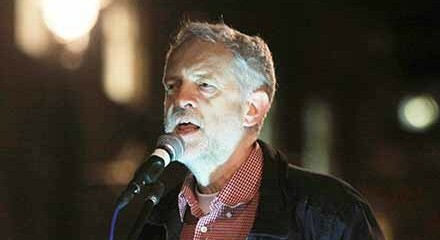 It can sometimes seem nowadays that the Labour Party is divided into two internally united and violently opposed camps – the left and the right, with the suitability of the party’s new leader as the issue of principle on which they are divided. In fact, the upper echelons of Labour have always contained a morass of centrists: grey people who worship government office above all else, and will pull behind those who promise it. It so happens that those promises are most compellingly made by the right in ‘normal’ times (we shall see why later), and so we find such people most often under the right’s magnanimous care. They include former rightwingers left behind, somewhat bewildered, by the aggressive Toryward trajectory of the Blair years; high-profile and basically apolitical ‘safe pairs of hands’ (Jack Straw, say); and a rump of also-rans and sometimes-weres. Among the latter, we might name Margaret Beckett. Beckett picked up a few front-line roles in the Blair years, becoming Britain’s first female foreign secretary, for those who keep track of that kind of thing. Yet she has been quiet for the last few years, after being sidelined by Brown. She got back in the news last year as one of the “morons” who nominated Jeremy Corbyn for the leadership; but by that time, presumably, she was already compiling her most recent ticket to the front pages – a 36-page report on how Labour can have been so blindsided by defeat last May – on the say-so of interim leader Harriet Harman. 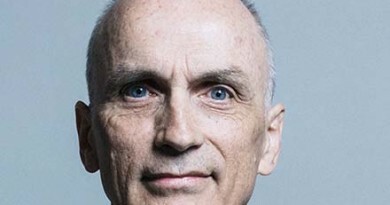 Quite apart from giving warring camps within Labour something new to squabble over, Beckett’s report has been met with the usual potluck of cherry-picking and outright mendacity from the press. We were right all along, they say: nobody “trusted” Labour on the economy, nobody “trusted” Labour on immigration, and nobody could see Ed Miliband as prime ministerial material – you know: his teeth, his bacon sandwiches, etc. Thus findings on the popularity of Miliband’s anaemically leftwing policy platforms are, of course, ignored. It does not fit into the prevailing narrative of ‘economic trust’, though we note that this phrase can mean an awful lot of things, depending on who you ask and how. Democratic primary voters in America, for example, ‘trust’ the reformist-socialist, Bernie Sanders, over Hillary Clinton on economic matters – presumably meaning that they trust him to actually make Wall Street bankers’ lives a little more difficult, rather than just huff and puff a little under pressure (however naive this trust actually is). The bigger lie, however, is a sneakier one. All these problems have one thing in common (alongside their vagueness and artificiality): they are all matters of perception. Yet they are being presented as if the Labour Party’s fate last May was entirely in its own hands. Miliband could have been more ‘prime ministerial’. ‘Economic trust’ could have been restored. But this is not how political perceptions work. There is another agent in the process that has a big impact on how policies, politicians and so forth are perceived. This agent is, of course, the very same media currently crowing about their correctness. So to return to ‘economic trust’ for a moment – the claim, again, is that the Labour Party was not able to shake the perception that it was at fault for creating the post-2007 mess. This is a truly fantastical notion at face value. There was a global financial crisis, for heaven’s sake. Britain was not one island of disorder in a calm ocean of prosperity. Yet this absurd accusation was hurled about by Tory frontbenchers as if it were self-evident. Given that they did so, it would be quite simple for the lowliest hack on a national newspaper to demonstrate how risible the line was every time it was trotted out. This, obviously, did not happen – even The Guardian and the like were often too busy aiding Blairite manoeuvres against Miliband to point this out with much force. Most other papers repeated such horseshit in every other editorial. What is true of ‘economic trust’ is true also of the immigration issue, and most especially the doomsday scenario of a Labour-Scottish National Party coalition government – Rupert Murdoch played a devilishly clever game by having his papers simultaneously support the SNP in Scotland and whip up chauvinist hysteria against them in England. The crowing of the Mail, Times and company thus amounts to the following statement: ‘Labour lost the election because people believed the lies we told them repeatedly over the course of five years.’ Any Labour politician who repeats any of these question-begging non-explanations for Labour’s defeat is thereby exposed as a traitor and an enemy agent. For what this whole rigmarole amounts to is nothing short of a protection racket – in fact it is worse. The mafia will take your money in return for not burning down your restaurant; if you pay, they will at least keep to their end of the bargain. When it comes to the press, however, they will demand genuflection before their interests, and in return they might choose not to ridicule you at some later date. Those who urge Labour to make the necessary payments can promise nothing, and if it does not work the prescription will be the same: give more ground, bend the knee further, still with no guarantee, or even reasonable expectation, of success. Our centrists will, of course, be concerned that this is the only game in town – even if the house always wins. Indeed, it is – at the moment. We in Labour Party Marxists are often ridiculed for not encouraging the formation of ‘left governments’ under conditions where they will lead to disappointment, and many of these same critical comrades were holding their noses and voting for Miliband in May. Yet what if Beckett’s report had been unnecessary, and Ed had triumphed (with or without nationalist support)? Where would we be now? Stuck with an unpopular Labour PM in pell-mell retreat, obviously enough. That energy price freeze would not have made it to Christmas. The Tories would not be in government, but they would transparently be a government in waiting, no doubt with someone worse than Cameron in charge. And at the grassroots? 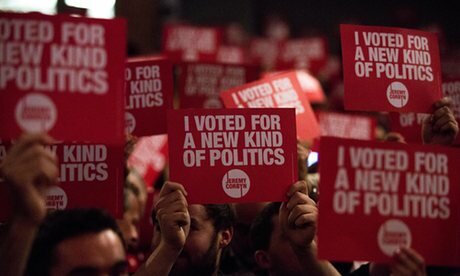 Would we have a 400,000-strong Labour Party, replenished overwhelmingly with leftwing recruits? The point of this digression is simple: for the working class under a bourgeois political regime, the pursuit of government at all costs drags politics as a whole to the right. This is why we find the likes of Margaret Beckett more comfortable with Tony Blair than Jeremy Corbyn – Blair’s promises of power have a truer ring to them, what with Rupert Murdoch singing backing vocals and everything. We need to escape from this bind, and that means changing the rules. We do not need a Labour government in 2020 nearly as much as we need an effective opposition now. 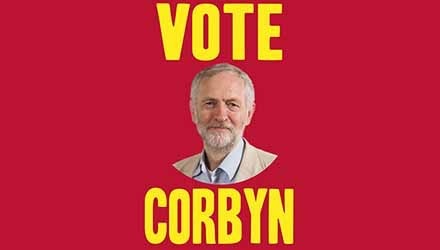 Many Labour left groupings, from the likes of the marginal Labour Representation Committee, through Momentum, up to Corbyn’s inner circle itself, like to talk about making Labour into a great mass movement again. That is a correct impulse. The trouble is that they invariably fail to see that this aim is in contradiction with the exclusive veneration of getting into government, and even more sharply the belief that any Labour government is better than any Tory government. Look at the threadbare state in which the Labour Party was left by Blair and Brown – that is where 13 years of ‘sensible’ government gets you.